You have got to be effing kidding me! But then again… they had to come up with that sooner or later to pair up with the HK exhaust covers. LOL This is too much to handle. Cuuuuuuttttteeeee!!!!!! I want those and the HK exhaust covers and the HK headlights. The more Kitty the better! I would so love to know where to get the rims and the exhaust!! Ok those are too cute! If I could talk my husband into putting those on our only car you can bet I would! Now I just have to find them first……..
Blimey. I don’t like HK and have no HK stuff, but suddenly I really really want those hub caps. Are you sure you’re not some sort of reverse psychology marketing person for sanrio? i mean.. hello kitty is cute and all, but i’d never spend so much money on such uh.. useless things to be honest! or well, i do, but not things with hello kitty, thank goodness my boyfriend thinks my own addiction is adorable. If you’re going to insult Hello Kitty, you should at least be up-to-date. Those rims have been available for quite some time. I’ve been after them for many months, if not a year. BTW, someone asked where to get them? As far as I can find, they are only available in Japan. I first found them on the Sanrio Japan store through Yahoo. They run about $900 a piece, no joke. They supposedly wink, too, as you roll along but I haven’t seen them in action. :> I really want these, can you tell? I love these. The only way I could justify buying these is if I had my own car separate from my husband. That way, I could decorate it exactly as I want it. I would so love to get the rims and the exhaust!! 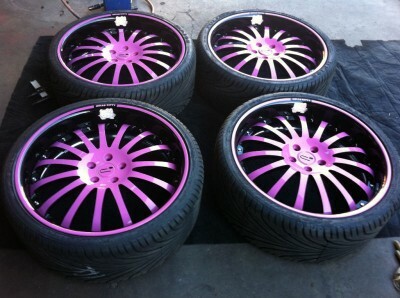 I so love the rims! Ive been looking for some for my decked out cavy and them would put the unique and special touch on it that ive been looking for. man u just gotta know it a girl thing, when something that cute pops in ur eyes u cant let it go! 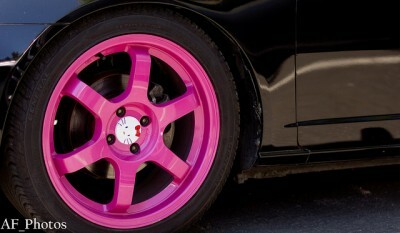 I love the Hello Kitty rims! I have the tailpipes on my Tiburon and I have been looking everywhere for rims. 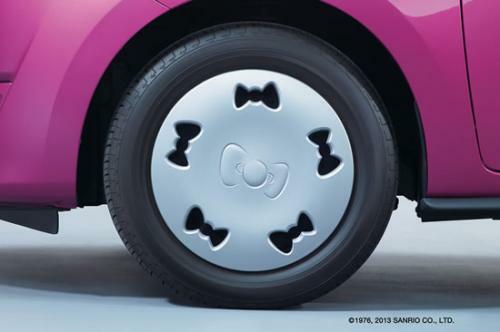 Those ones aren’t really my style though, I want a plainer rim with hello kitty as the center cap or something…..ideas anyone? 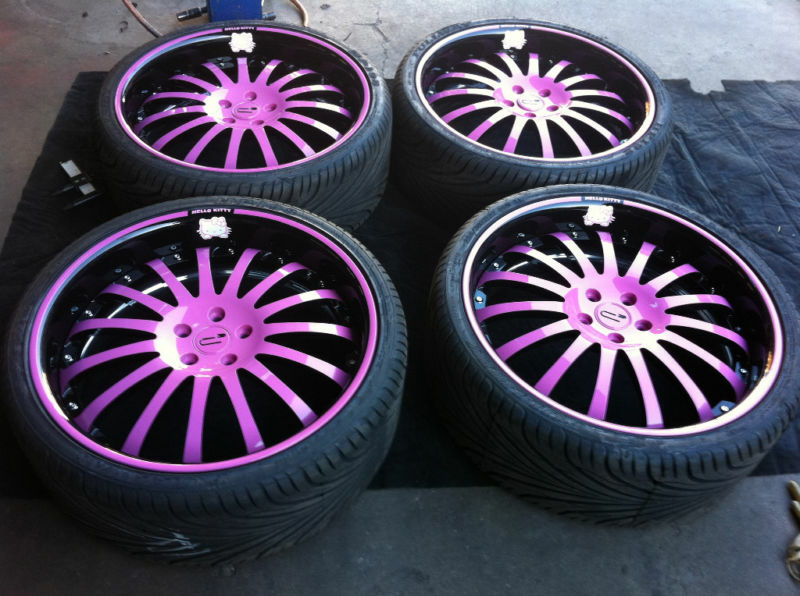 where can i find these rims…..tell me pllllleeeeaaasssee!!! how cute I LOVE IT LOVE IT . I want them now. These aren’t what I expected. I had heard of these and wanted to know what they actually looked like only to find this sad example which unless you get close doesn’t even look like anything special. 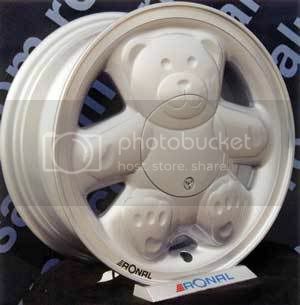 I thought they would be more like the Ronal “teddy” rims which were actually the shape of a bear not just some random expressions on some spokes. where can i purchase the hello tty rims n the hello kitt exhaust pipe? Hello Kitty rims r sweet!!!!!!!!!!!!!!!!!!!!!!!!!!!!!!!!! OH my God!!!!!!!!!!!!!!!!!! !…..i love hello Kitty and i just put some diamon decals on the bumper and the door…. 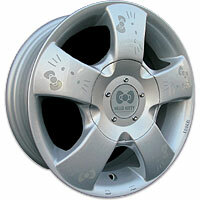 i just love hello Kitty…i want that tires rings…and all my car full of hello kitty!!! Can you please tell us how to get the rims? I saw a hello kitty crocheted tire cover today, I left a note on their jeep. Have not heard from them. Does anyone know where I could find one or a pattern even. where can i buy the rims, tail lights and the headlights? I suppose all these modifications lessen the likelihood that your car will be stollen, even if by this point you’re praying for a theft. 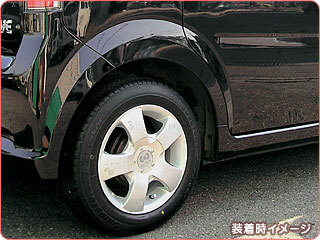 Kitty car rims have gained huge popularity in the car industry. They’re not just stylish but functional as well.